Huge Savings Item! 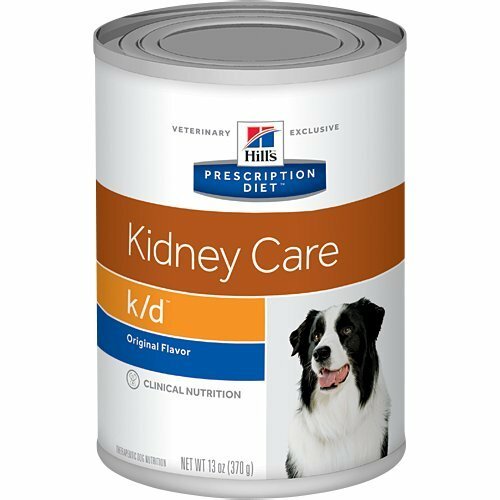 Save 19% on the Hill's Prescription Diet k/d Kidney Care with Chicken Canned Dog Food 12/13 oz by Hill's Pet Nutrition at newmexicoveterinary.org. Hurry! Limited time offer. Offer valid only while supplies last. Kidneys are important because they remove waste substances from the blood, and maintain the normal balance of fluid and minerals within the body. Kidneys are important because they remove waste substances from the blood, and maintain the normal balance of fluid and minerals within the body. Once kidney damage occurs, the consequences are usually irreversible. Hill's nutritionists and veterinarians developed Prescription Diet k/d, clinical nutrition especially formulated to support your dog's kidney health. In fact, k/d is clinically tested nutrition to improve & lengthen quality of life.